For many, the classic look of a vintage RV just can’t be beaten. Vintage RVs have their own unique style that almost everyone will appreciate. Because of this, many RVers decide to buy vintage RVs over newer ones. The question is, how much does a vintage RV cost to buy? A vintage RV has an average cost of around $6,000 to $10,000. This assumes that the vintage RV needs some work, but not a full restoration. It also assumes that the vintage RV is not a rare vintage RV that cannot easily be found or acquired. At the end of the day, a vintage RV is a used RV. This means that the cost of buying a vintage RV will vary dramatically based off of the condition it is currently in. A vintage RV that needs a complete restoration will be much less expensive than a vintage RV that has already been fully restored. Even fully restored RVs can vary in price based off of how the RV was restored. 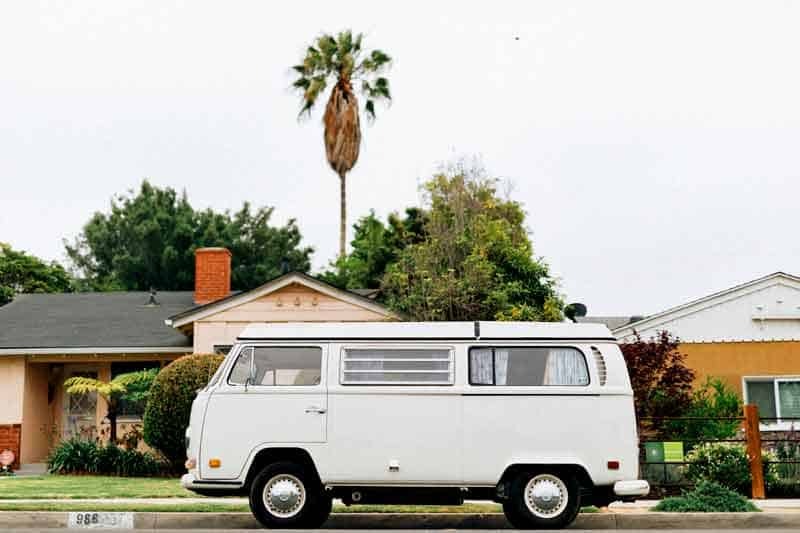 For instance, an RV that was brought into mint condition with all original parts will sell for much more than a vintage RV that was simply fixed up. The first one is a collector’s item while the second is just a nicely finished vintage RV. A vintage RV is considered to be in poor condition when almost everything needs to be repaired. An RV like this may need new windows, new walls, new floors, and everything in between. You may end up buying this RV to use more as a template rather than a solid structure to build upon. 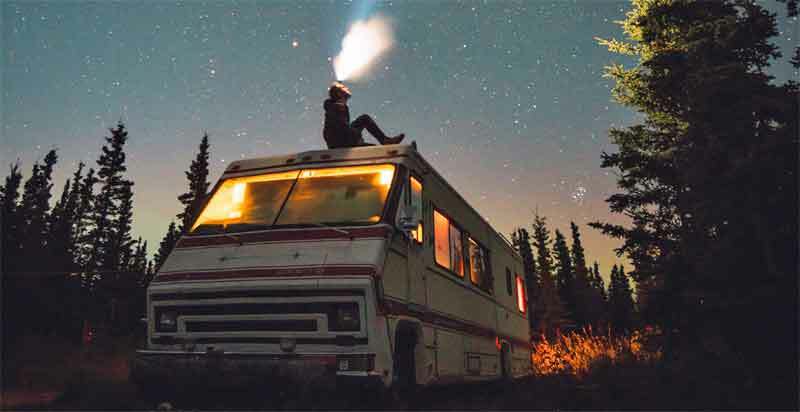 When buying this type of RV, expect to spend a considerable amount of time and possibly a considerable amount of money to bring it back to life. The cost of a Vintage RV in poor condition will range anywhere from free to $5,000. The reason for the $5,000 price is that a large luxury vintage RV like an Airstream Land Yacht or a Spartan Camper can still fetch a high price for its shell, it’s large trailer size, and it’s collectability. Search for RVs like this at salvage yards, on Craigslist, and on eBay. As we stated earlier, a vintage RV in fair condition will typically cost you anywhere from $6,000 to $10,000. These RVs may need a window or two replaced and they may have some roof damage or floor rot, but they can generally be salvaged by the average DIY’er. The amount of money you spend restoring this type of vintage RV will completely depend on how you decide to restore it, how much you have to rely on outside professionals, and what type of materials you decide to use. Using original parts to do your restoration will usually be the most expensive route, but it will create the largest increase in value. A vintage RV that has been restored will usually start out at least $10,000 and will go up from there. In fact, rare vintage RVs can cost well over $50,000 to acquire. We found a 1935 Bowlus Roadchief that is currently listed for sale for $70,000. These RVs do not need any work and you’ll be able to use them or put them on display right away. This type of RV is great for the affluent buyer that has the money for a vintage RV but does not necessarily have the time, skills, or inclination to restore one him or her self. One distinct advantage of buying a vintage RV is that you can choose how much you want to pay. What I mean by this is that unless you’re buying a very rare vintage RV, you can choose what condition you want to purchase it in and therefore what price point you want to get it for. If you’re short on cash, opt for a vintage RV that needs some work. If you’re short on time, buy a vintage RV that has already been restored to your liking. The biggest factor for most when buying a vintage RV is the visual appeal. Vintage RVs have a unique look to them that you won’t find in most of the newer RVs on the market. Because of this, most vintage RV owners feel a higher level of owner satisfaction than their new-buyer counterparts. Vintage RVs will only become “more vintage” over time. Take good care of your vintage RV and the price will go up rather than down. Rare vintage RVs can be expensive and they can be costly. If you’ve chosen a rare model vintage RV, you may find it ends up costing you more than a new RV would have cost you. It may also take some time to find and acquire this type of RV. The maintenance on a vintage RV can also be higher than the maintenance on a newer RV. You’ll be dealing with older parts that are more likely to break. Not only this but once they do break you may find that it is hard to find replacement parts. You can find vintage RVs all over the place. A great place to start is your local Craigslist ads followed by your local Facebook marketplace. eBay and other specialized vintage RV websites can also be a great source to search for vintage RVs on a national level. If you want to be more creative and find a potential diamond in the rough, you can also search estate sales and storage close-outs. Buying a vintage RV is a little more complicated than buying a brand new RV. Here are some questions to ask yourself before making a purchase. How much work do I want to do after the sale? Does the owner have the original title? How much additional money can I spend on repairs and maintenance? The more time and work you can put into your vintage RV, the less you’ll have to spend. Just make sure you don’t take on a project that is too big or too difficult for you to complete. Never buy a vintage RV without the title. I’ve heard stories of people who have put thousands of dollars into restoring a vintage RV only to have the person with the title sue them for ownership. The person with the title won and all the work and money the new owner put into the restoration was lost. Whether you’re buying a vintage RV or just a used RV, you’ll want to do a pre-purchase inspection. Start outside by inspecting the trailer for rust and any signs of degradation. Look for dry-rot on the tires and check to make sure all of the lights work. Next, check the exterior walls and look for areas of trouble. Fiberglass RVs may be starting to de-laminate, aluminum RVs may have dents, and wooden stick-built RVs may be starting to rot. Once you’ve evaluated the outside, you’ll want to go inside and check the floor for rot. Are there any soft spots on the floor? If so, there may have been a leak somewhere. Check the ceiling for any signs of water penetration. Look carefully around the vents as this can be an area of trouble for many RVs. After this, you can check to make sure the appliances, the electrical systems, and the plumbing are all working. RV appliances are expensive and repairing the plumbing and the electrical systems can be time-consuming. If the seller is agreeable, ask them to tow the vehicle somewhere for you. This way you’ll get to see whether or not the RV is indeed road-worthy. If he’s not willing to take the RV out on the road, this could be a bad sign. Take the time to fully inspect your vintage RV before you buy and you’ll have a better idea of how much time and effort will be involved in restoring it. You’ll also have a much better idea of how much money to offer them as well. Owners wondering how much an RV cost to buy, because they want to sell their RV, need to look at the question from a deeper perspective. You’ll want to find out what your exact model and year is on your vintage RV and then find out what others are selling their RV for. Remember, just because you spent $15,000 restoring your vintage RV, doesn’t mean it is worth that much. A vintage RV is only worth as much as someone is willing to pay for it. If there are other people selling the same vintage RV as you are for half the price, you’re bound to end up losing the sale to them.